South Gippsland Water will shortly begin works to replace a section of the water main that runs along Graham Street in Wonthaggi. A public tender will open for the work which will involve replacing a 530m long section of the water main the length of Wonthaggi’s main shopping strip, from the roundabout at Graham and McKenzie Streets to the roundabout at Graham and Billson Streets. This work has been brought forward following the high number of bursts and leaks which have been experienced along Graham Street this past summer. The section of water main to be replaced is some 108 years old, originally installed in 1911. Over the most recent summer this pipe has had a significant number bursts and leak incidents and has been disruptive to reliable services and the businesses that operate in the area. The renewal works will see the existing 150mm diameter cast iron pipe replaced with 180mm diameter polyethylene pipe. 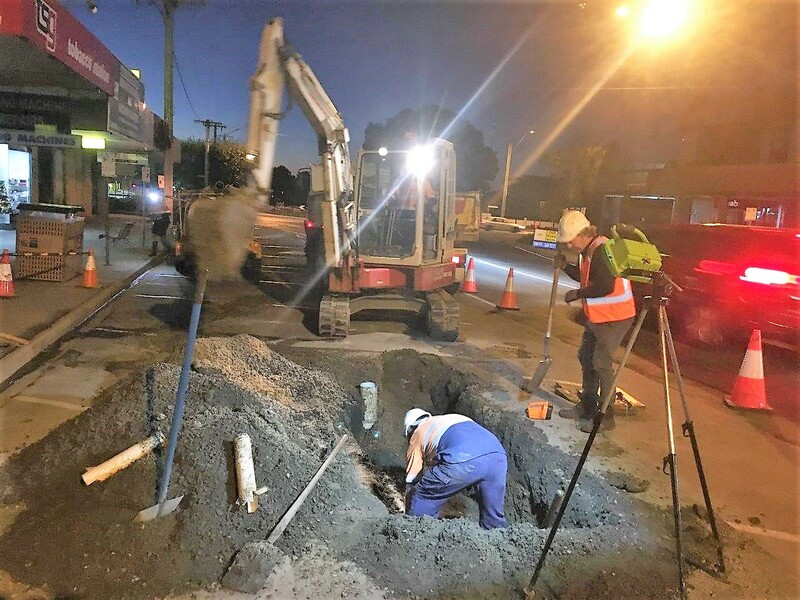 Commencing mid to late May, South Gippsland Water anticipates that much of the works will be done during the night, to limit disruption to Wonthaggi’s main shopping and business district. It is expected to take six to eight weeks to complete the works, with works undertaken in the road reserve and footpath areas. Once complete, South Gippsland Water will repair and re-instate the roadway and footpaths affected during construction. Managing Director Philippe du Plessis said that, “the Corporation has been monitoring the performance of this section of pipe over recent years and following the performance of this pipe over the past summer has identified it as a key priority for replacement. This project marks a significant investment into the Wonthaggi water supply network and the Corporation’s commitment to deliver safe reliable water supplies”. Property owners and businesses in the immediate vicinity will be consulted and kept up to date through-out construction and will be informed of any planned service disruption or impacts to their properties. Image: Workers repair the water main in question (Graham St Wonthaggi) when it burst earlier in the year.